I still remember when the first episode of Telltale’s The Walking Dead launched. Unsure what to expect, and having only played snippets of their Sam & Max games in the past, I ‘ummed and ahhed’ for approximately twelve seconds before thinking “ah what the hell, it’s only 400 points” (remember those?) Thankfully, I was not left disappointed. It was a breath of fresh air for narrative games, with well-written characters, some clever puzzles, and moral choices that actually carried weight. Needless to say, I was hooked. It immediately became my favourite game ever; one that I could not say anything negative about. I became heavily invested with every tiny character I met, handling every death with the emotional maturity of a new-born. I stayed up the night before each episode was ready to release, poised to download and absorb it straight away. It became as much of a talking point in my life as my degree, and when it was over, I was genuinely heartbroken. That was about three years ago. Skip forward to the present day, and we’ve had a bonus episode, a second season, and a new mini-season on the way. Not only that, but Telltale have branched out to other games, with The Wolf Among Us, Game of Thrones, and Tales of the Borderlands all taking the interactive storytelling model and running with it. And don’t forget the bizarre Minecraft game they’re working on, which I have no interest in ever touching but will, inevitably, buy it day one. But I no longer have faith in Telltale to deliver anything meaningful. Sure, their games are still emotional, with strong writing and harsh choices to make, but they’ve managed to oversaturate a market they created. The formula they developed for emotional storytelling remains untouched no matter what series it’s being applied to. All the same twists, the same character types, the same relationships – everything is being recycled. And worse yet, it’s being dumbed down. The Walking Dead had puzzles. Yes, they weren’t particularly taxing, and you could figure most of them out just by trying every combination of every item on every object, but there were puzzles regardless. At least, the first season did. Jump into the second and most of the puzzles are stripped-back or completely absent, replaced with more QTEs than is really necessary, or simple fetch quests that required so little effort on the player’s behalf that they might as well not have even been in there. But there is proof out there that puzzles still belong in a narrative game. 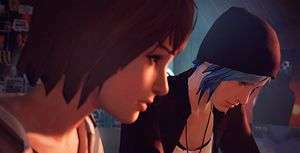 Life is Strange, a game that wears its Telltale influence proudly on its sleeve, manages to offer up not only one of the most genuinely heart-wrenching storylines in a game ever, but also some genuinely clever puzzles. The time-travel mechanic is a big part of this, of course, but there’s still the odd puzzle here and there that requires you to have paid attention earlier in the game, or just straight-up use your brain. You can brute-force most of the puzzles, but some require a little finesse, and one in particular has some pretty nasty consequences for the rest of the series if you get it wrong. Life is Strange isn’t afraid to regularly mess with its own rules, either. 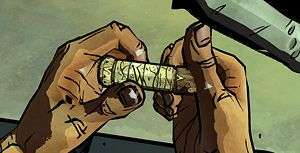 It’s frequently adding different twists to gameplay elements, something that the Telltale games are hesitant to do. It pokes fun at itself, and gives you the opportunity to screw around with the world if you want, with no fear of consequence. Of course, this is down to the ability to instantly rewind any choices or mistakes you make, something which no current Telltale lore will allow, but it makes a difference. 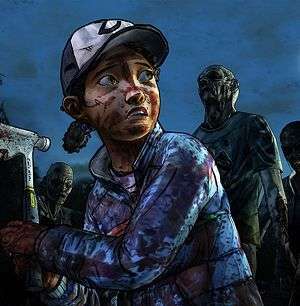 Choices are another thing that Telltale seem to be getting worse at in each game as well. When talking to fellow writer Ed about a particularly important choice towards the end of the last episode of Game of Thrones, it became apparent that our decisions made absolutely no impact on the game. Sure, a character might appear later on for me that won’t for him, but ultimately it meant nothing. This can be fine, of course. Kentucky Route Zero does a fantastic job of offering totally meaningless choices, constantly asking you to advance the narrative but never altering its course. But it does so in a way that makes you feel like you’re writing the characters and not affecting their actions. Kentucky Route Zero will have the same story for everyone, but the way that their characters react to a situation will be different. This extends even into the soundtrack, with a particularly memorable sequence in Act 3 that allows you to choose the next verse of a song as it’s being performed. And it works because you know that nothing you can do will affect the world around you. Ed told me once that to best enjoy Game of Thrones, one must pretend they are actually a director in an episode, making choices based on what makes for the most conflict and intrigue than the choice you would actually make in that situation. This makes sense, especially given the constant shifting between characters making it hard to feel like you’re truly in control of anything. But that Telltale mindset is so deeply ingrained into the game that to deviate from the path of choosing what you would do feels wrong, and against the intention of the game. And when you’re going around believing that your choices can make a difference, then realise that they’re ultimately meaningless, it feels like a betrayal of trust. 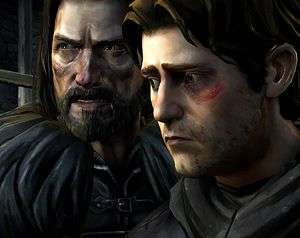 Telltale aren’t going away anytime soon, and that’s good. We need deep narrative games that challenge the boundaries of gaming, and prove that games are more than just shooty-bang-fests to appease bored teenage boys who persuaded their mum to spend their benefits on the next Call of Duty. But Telltale are beginning to stagnate, and they need to stop, look at the competition, and see what’s working for other developers before they cease to be interesting or accidentally fall into self-parody.